Samsung recently unveiled its latest smartphone at the Mobile World Congress with a twist - an integrated projector which was claimed to be able to project contents up to 50-inch wide and is even bright enough to work in outdoor environments. It allows users to spontaneously share photos, videos or other digital multimedia with family or friends by beaming content stored on the device directly onto walls, ceilings or improvised flat surfaces, enabling users to share content without the need to huddle around smartphones or pad-sized screens. “GALAXY Beam provides mobile freedom, enabling a unique shared experience around digital content for everyone—anywhere and instantly—from a smartphone as slim and portable as any on the market,” - JK Shin, President of IT & Mobile Communications Division at Samsung Electronics. 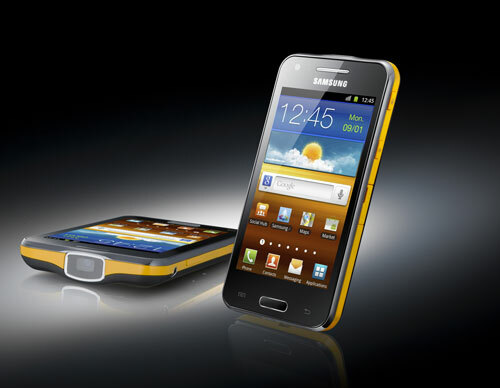 Here's an official hands-on video on how the Samsung Galaxy Beam functions.